It is no surprise, therefore, that this refreshing drink is popular in this archipelago too. If you visit Cape Verde and don’t have a caipirinha then you’ve really missed out. The main ingredient is unaged cachaça, a clear white spirit similar to rum which is distilled from sugar cane. With a lower distillation strength than light rums, it is less refined and thereby it keeps more of the aroma and flavour of sugar cane. But you don’t have to go to Cape Verde (although we’d love it if you did), or Brazil for that matter, to try it. Just get your hands on some cachaça and try out our recipe. A popular brand in Brazil is Ypioca Cachaça Prata. While not the best brand, being rather harsh to drink straight, it is available around the world and makes a good base for cocktails. Cut the limes in half, remove the white centre (to stop it being too bitter) and cut each piece in half again. Gently mash the lime pulp, being careful not to put too much pressure on the skins. Place the lime and sugar in a heavy bottomed rocks glass and gently muddle. Add the cachaça and ice. Leave to stand for a minute or two to allow the coldness of the ice to really penetrate through. If you like your drinks more bitter, you can add an extra lime. Some people like to scrape away some of the lime rind to release the aroma, and some like to use aged rum. It’s all really a matter of personal preference. 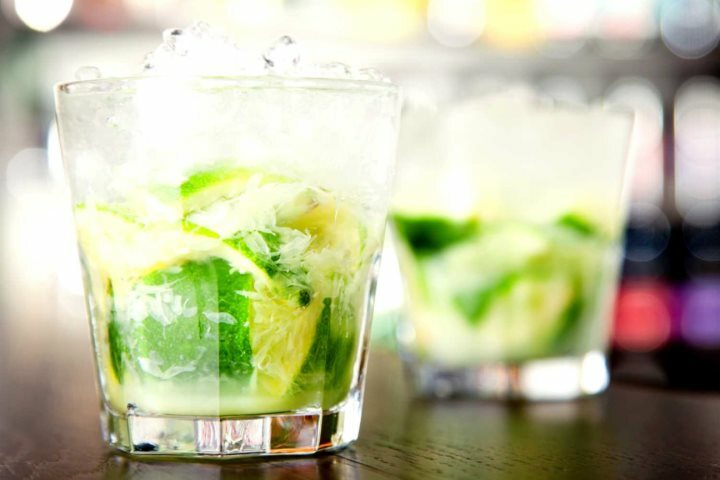 A variation on the caipirinha is the caipiroska made with vodka instead of cachaça – not as authentic but still delicious! A glass of caipirinha goes surprisingly well with spicy Indian and Mexican food. Of course, a caipirinha tastes even better in the Cape Verdean sunshine. If you fancy a last minute getaway check out our Late Deal Holidays.